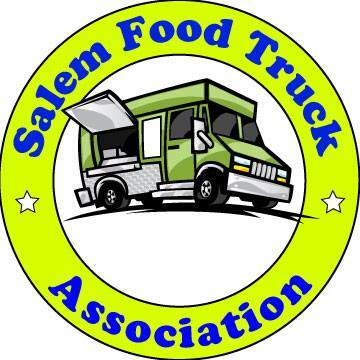 Nominate the "Eat Salem Restaurant of the Year 2007"
Nominate the Restaurant of the Year 2008 click here. Did one restaurant go above and beyond this year with great food, service and atmosphere? If so, nominate them for "Restaurant of the Year." Just leave the name of your favorite restaurant in the comment section of this post. Nominate as many restaurants as you like. We will take the most suggested restaurants and put up a poll on January 5th to determine the top eatery. Whites - best customer service (food/coffee is average, service is stellar). La Perla - best Mexican. Boons Treasury - Best atomosphere. Straight from new york - best thin pizza. Really best pizza in town. Divinci's - best cocktail lounge. J. James - best NW cuisine. Burger Basket - best burgers. I'll go for Apizza - they've probably gotten the most of my money of any listed so far. When it comes to comfort food I'll nominate a place that I don't get to often enough (due to distance) but which consistently pleases - Schroeder's Guesthouse out at the intersection of Lancaster & Portland Rd. my vote goes to Wild Pear. Kim Huongs is the absolute best restaurant in Salem. Always fresh ingredients!! Chain that you wish would open: Can we get a friggin' Burgerville in Salem! Best breakfast: Busick (1st runner up: Off Center, 2nd runner ups: Broadway Cafe, White's). We did not have a good experience at Sassy Onion, but we may give them a second chance. Queen of Tarts in the Library. Friendly service, excellent food and baked goods that beat the Konditorei any day. I would have to say that Salem has the worst record for places being consistantly good. We will find a good place to eat, and after two or three times, WHAM...lousy service, bad food, and this has happened at almost all the places we have dined in Salem. So my best restaurant of the year goes to a place that I have never gotten a bad meal from, the servers are quick and polite, and has been overlooked by much of Salem. TONG KING, there, I said it, TONG KING! Take that... Roadhouse, Bentleys, all the rest of the too many bad Mexican places! Humble, old, Tong King. Don't forget Court St. Dairy Lunch, they also have great breakfast, and good lunches, very good fries and shakes also. Always comes out the same. It may be the best restaurant between Portland and San Francisco. In the pizza category, there's nothing even close to them (that I've had) in Oregon. It is enduring, even after many, many trips. I used to think Cristo's was a close second, but Apizza pulls away from everything else. Nice place, too. Comfortable room, comfortable seating. But why Stayton?!?! OK How about King Donuts!!! Well they may not be a restaurant but I have had Sooo many meals there that It feels like a home away from home. I went to Apizza for the first time tonight. Wow! That pizza is amazing. Not only that, the restaurant is beautiful and the staff is very friendly and helpful. I was a little sad to see they don't accept tips, because I really wanted to give them one! They deserve all the praise I read about them. La Hacienda Real is the best restaurant by far, you have to see it yourself. Go to the one in West Salem!! !